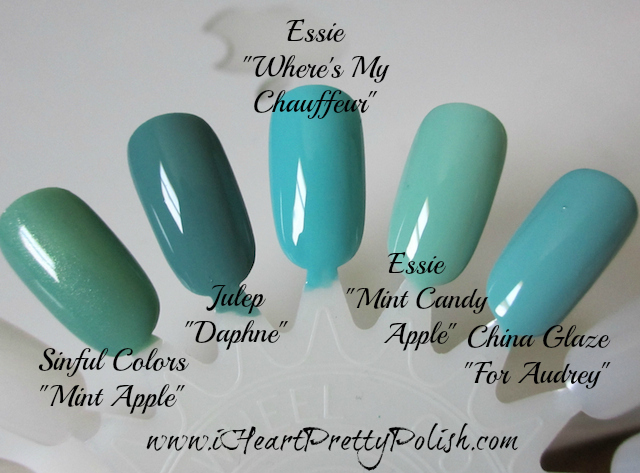 iHeartPrettyPolish: Essie Where's My Chauffeur No Dupe Here! Essie Where's My Chauffeur No Dupe Here! 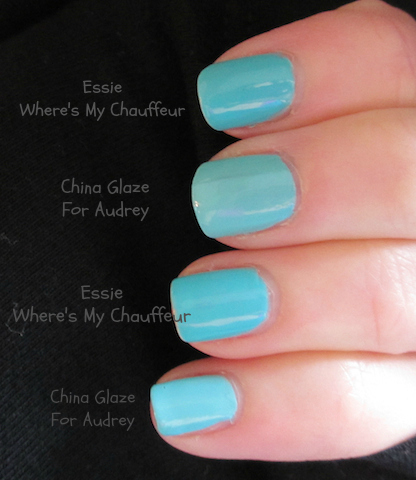 Earlier today I posted a review of Essie "Where's My Chauffeur" and I mentioned that it looked pretty similar to China Glaze "For Audrey" on my swatch wheel. As you know, polishes can look very different on the nail and it helps when they are swatched right next to each other. Here is the comparison I did with Essie and China Glaze. As you can see, the Essie is more blue and a bit darker. I actually prefer it over For Audrey. It's more bold. As far as formula goes, I do think For Audrey is easier to apply - but the end result of Where's My Chauffeur is worth the trouble. For Audrey is one of my favorite colors, but it might be nice to have a similiar one in the collection1 Thanks for the comparison. You are welcome. I love both of them. Gorgeous! Dupes of not this is my favorite nail color. 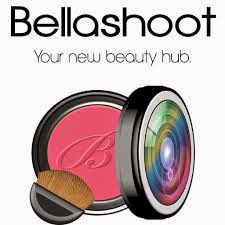 I can't wait for mine to arrive. I've also read that Aquadelic is really similar too. Oh really? There must a dupe out there somewhere. But I am glad I don't have one. I wonder how close it is to Orly Frisky. From pictures it looks like it could be very close...I've been on the fence about getting the Essie; I might have to bring my bottle of Frisky to the store and compare them in person! Good idea. I have totally done that before:) Or walked around Ulta with the bottle that I want and compared it to all the ones I have. I have saved myself lots of money doing that. Oh really? It was fully stocked at my Target. Great comparisons! Thanks for sharing! :) I am always excited when I don't have a dupe. Did you seriously just comment on my blog? And follow? WOWZA, you made my day:) You are my hero! Oh no need to apologize. There are so many of us out here:) I'm just glad you are here now. Take care. Very nice comparison! I don't have the essie one but For Audrey is close enough for me. yes, they are really close. Wow, it is a much cleaner-looking shade than For Audrey. I passed this one over (also the name is stupid, haha) but now I might reconsider! Thank you for the comparison! I'm in love with Where's My Chauffeur?! I did a comparison post on it too and found China Glaze Aquadelic to be a dupe.